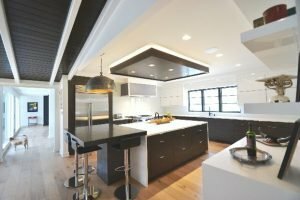 With the numerous options available on today’s market, selecting finishes for any home remodeling project can be difficult. Cabinetry is no exception. 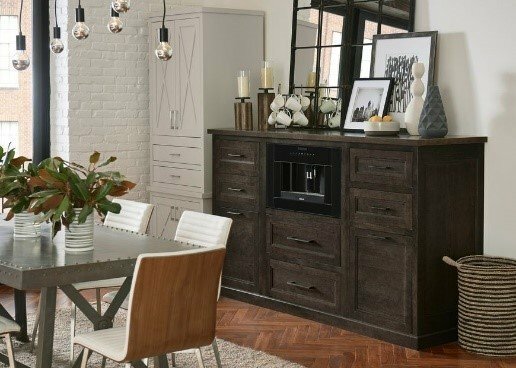 Below are a few details to hopefully help narrow down those options when searching for the perfect cabinet for your home. 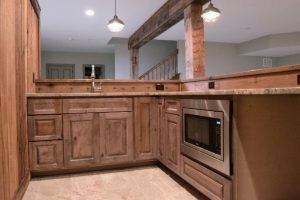 Generally speaking, there are two different ways cabinets can be constructed. Framed Cabinet Boxes: The most common type of construction, framed cabinets have a 1-1/2” – 2” border applied to the face of the cabinet. This flat frame is where the doors are secured, giving the cabinet extra stability. 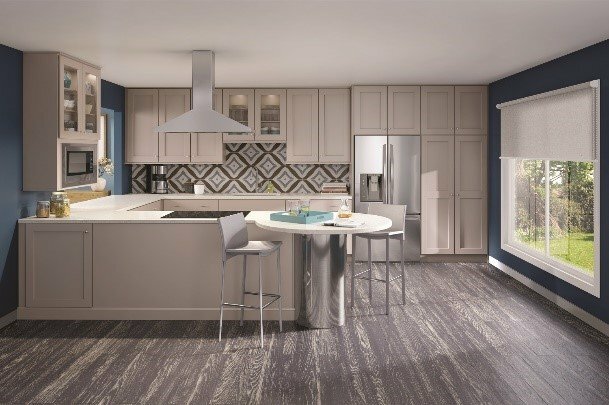 Additionally, framed cabinets offer multiple different door style options – partial overlay, full overlay, & inset – but we will get to that later. 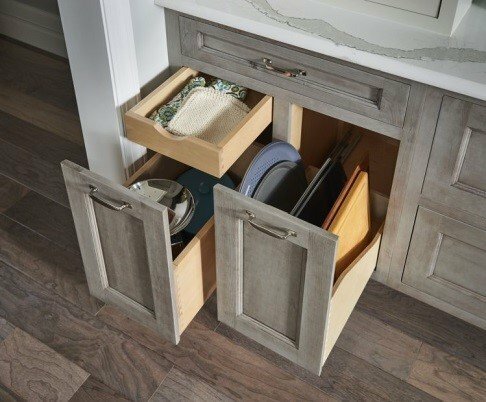 Just know, this type of cabinet box is perfect for traditional and transitional designs and is available in most cabinet lines offered in today’s market/ at ACo. 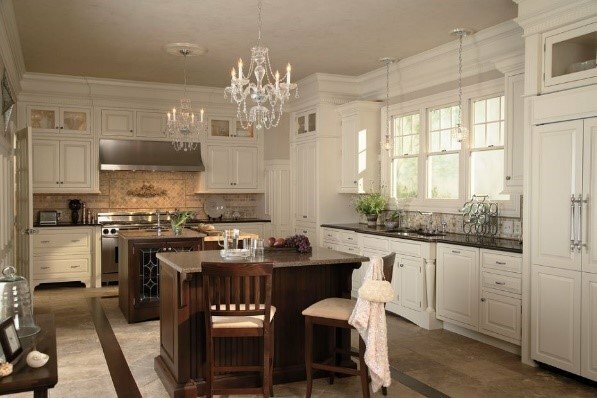 Frameless Cabinet Boxes: Sometimes called European style cabinets, frameless cabinets eliminate the face-frame from the box creating a more streamlined and contemporary look. Typically, thicker more durable material is used to construct the box to compensate the missing face frame. Only full overlay doors can be used in frameless construction. The benefits – The space that was taken up by the face frame can now be used for more storage (which is perfect for large square dinner plates that are often stored in 12” deep wall cabinets) & they are easier to access too. Our semi-custom Bellmont Cabinetry line & fully custom Green City Cabinet line offer multiple contemporary and traditional frameless options. As mentioned above, doors can be constructed in a variety of ways. Below are three of the most popular. 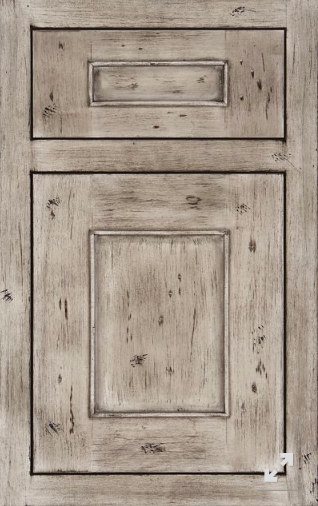 Partial Overlay: Just as it sounds, partial overlay doors partially overlap the face frame of the cabinet box. This reveal adds dimension and detail and is oftentimes seen in traditional designs. 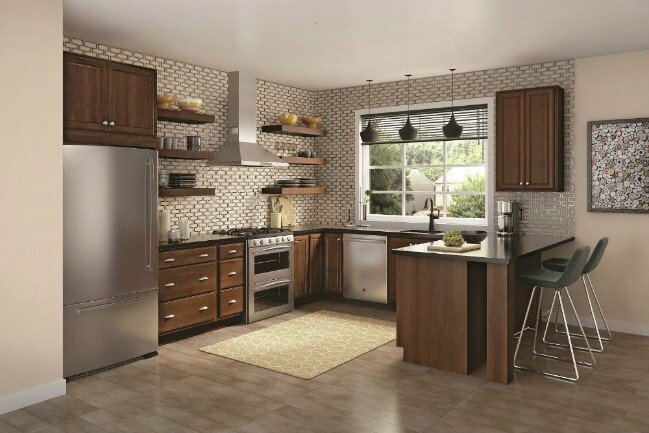 Typically used in stock cabinet lines, this style is usually the most economical option when designing with new cabinets. Full Overlay: Full overlay doors cover nearly the entire face frame of the cabinet creating a cleaner and more transitional design. As mentioned above, these doors can be combined with both framed and frameless boxes and tend to make the design of the space feel more high-end and custom. Inset: Instead of resting atop the face frame, inset doors fit inside the cabinet box creating a clean, flush look. To dress up the inset door a bit, a band of detail can be added to the frame of the box. This is known as a beaded inset. 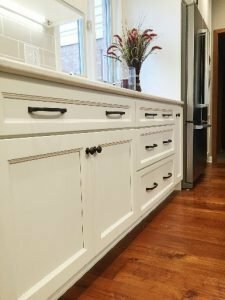 While very custom and beautiful, these doors are typically more expensive and limit the amount of cabinet storage available. Once the construction and door sizes have been selected, it’s time to start exploring the different door styles available. 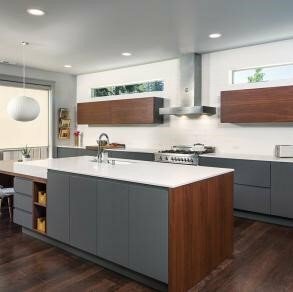 Flat Panel: Flat panel or slab doors are often used in contemporary design and come in a variety of different finishes and wood species. The doors have little to no detail and are seamless and simplistic in design. Recessed Panel: On a recessed panel door, a raised border is created around a flat or recessed center panel. 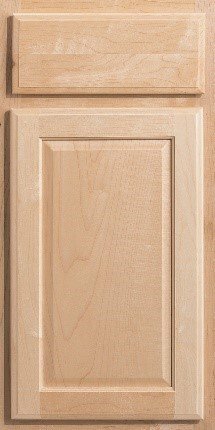 The most common recessed panel door is the shaker door. 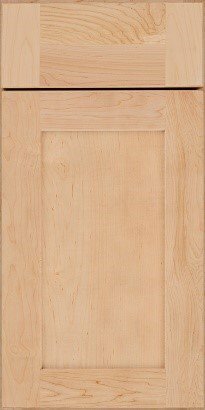 The shaker door is clean with minimal details and is great for contemporary or transitional design. By adding some details to the edges, the recessed panel doors can take on a more traditional look as well. Raised Panel: The center panel on a raised cabinet door is raised from the rest of the door. 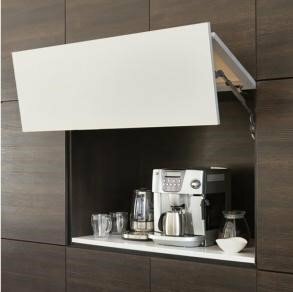 Similar to the recessed panel, details and applied moldings can be added to the edges to increase the amount of interest to the cabinet door. In general, Raised Panel doors are considered traditional in design.